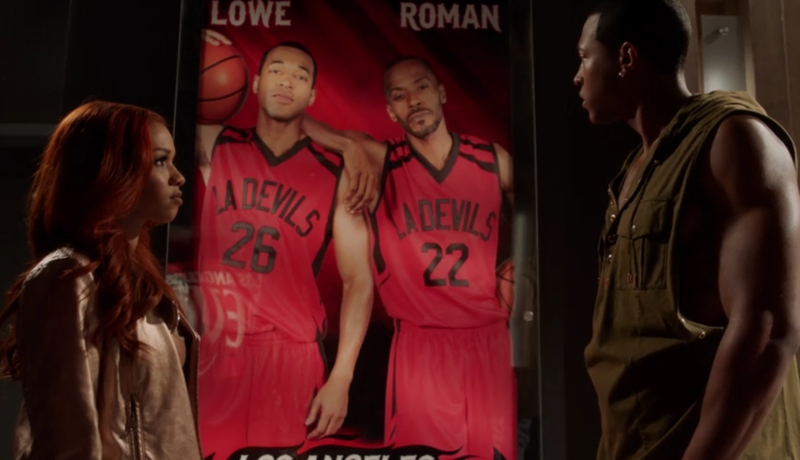 The Hit the Floor season 4 finale was full of surprises. Of course, ‘Final Seconds’ ended on a cliffhanger, which has me hoping BET decides to bring back the show for a fifth outing. Considering everything that happened in the previous episode and how Eve was able to convert Pax to her side, the Devils had to win the game against Miami or risk losing everything. There were three battles occurring simultaneously. Derek was trying to help his team win on the court (with Pax sabotaging the game plan), Jude and Lionel (with help from Noah) came up with a way to stop Eve from making any more moves, while Jamie was in a battle for survival against London who had her own problems with Curtis to worry about. With season 4 only being eight episodes long, ‘Final Seconds’ did feel rushed. However, it was still enjoyable because every character had something to do. On a lighter note, Kyle announced she was going to have Beau’s child. I am ready for Kyle Hart becoming a mother! The baby is one of the things I’m looking forward to seeing if this show returns for another season. One of the things I didn’t like about ‘Final Seconds’ was how quickly it resolved Pax sabotaging the basketball game to potentially make the Devils lose. With the way the conversation occurred between Pax and Derek, I think nothing would have changed if Derek was replaced with a cardboard cutout of himself. Pax was able to realize his mistake on his own and it felt like everything he had been doing earlier was just to raise the stakes for no valid reason at all. Lionel and German also forgave Eve too soon. Like I said, the finale felt rushed because of the 8-episode season order. The thing that took me by surprise was Jamie’s role in the final few seconds of the finale. No one puts Jamie in a corner and the fact London gave her an ultimatum (kicking her from the team after the final dance) made Jamie destroy everything. Turns out the real threat the Devils should have worried about wasn’t Eve but Jamie! I loved every second of it! Will Jude be able to save his team after Jamie leaked German’s confession about fixing a game? We will have to wait for season 5 to find out. Fans of the show have started a #DevilWithAHardOn4HTF5 campaign. Maybe BET will see the enthusiasm and give fans what they want? Let’s see. Noah keeping the same facial expression while Lionel was talking to him was very distracting. Lionel, German, and Eve have decided to become a thruple and I’m here for it. So Curtis is dead? I mean, it can’t be Hit the Floor without a murder involved. I still can’t help but wonder how the current season would have looked like if Ahsha, Zero, and Jelena were present. I think Eve, Jamie, and Pax would have still appeared. Perhaps even London. A villainous Noah working with Eve to take down the Devils would have been fun to watch. But I guess, we will never know. What did you think of ‘Final Seconds’? Feel free to share your thoughts with us. Previous:The Geekiary Briefs! New Videos For Riverdale, Star Wars: Resistance! Titans October Premiere And More!